Fed up with your current mobile phone? Prefer something that's incredibly thin? Then good news, HEXUS has partnered with Huawei and ARM to give you the chance to win one of three Ascend P6 smartphones! 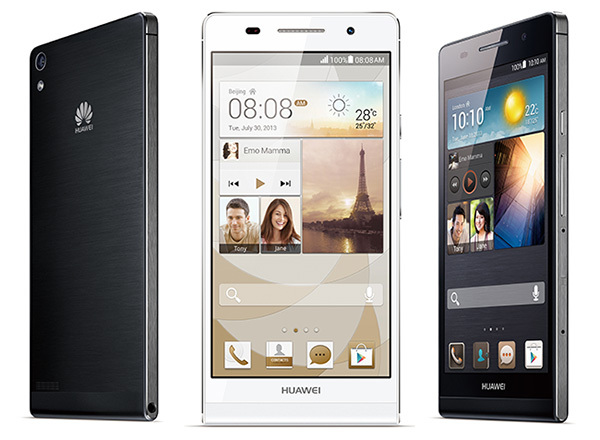 With the Huawei Ascend P6 smartphone, the impossible– is finally possible. At just 6.18mm, its sleek aluminium body is both impossibly slim and packed with all the technology. The Huawei Ascend P6 has a 4.7" HD screen and a lightning fast 1.5 Ghz Quad core processor, making it ideal for entertainment like Movies and Catch up TV. Premium camera experience – Huawei Ascend P6's 8 Megapixel camera, has the latest aperture which shoots incredible shots in low light. It also takes detailed close ups and is packed with tech to make it simple to use. The Huawei Ascend P6 has a sensational 5 Megapixel front camera. The biggest ever front camera is a huge step forward for the selfie, the group shot and for video calls. The Huawei Ascend P6's beauty settings will ensure you’re always looking your best. Huge 2,000 mAh battery with Huawei's Power Management to optimise battery life. The latest Android Jellybean 4.2.2 and Huawei's Exclusive Emotion UI make the Ascend P6 impossibly easy to use and customise. The Huawei Ascend P6 is worth £330 at retail, and we have three of these gorgeous handsets up for grabs! That's right, almost a grand's worth of smartphone goodness is just waiting to be won. I don't normally look at Huawei, but these look really impressive. Not seen one of those. Looks very tasty thanks.